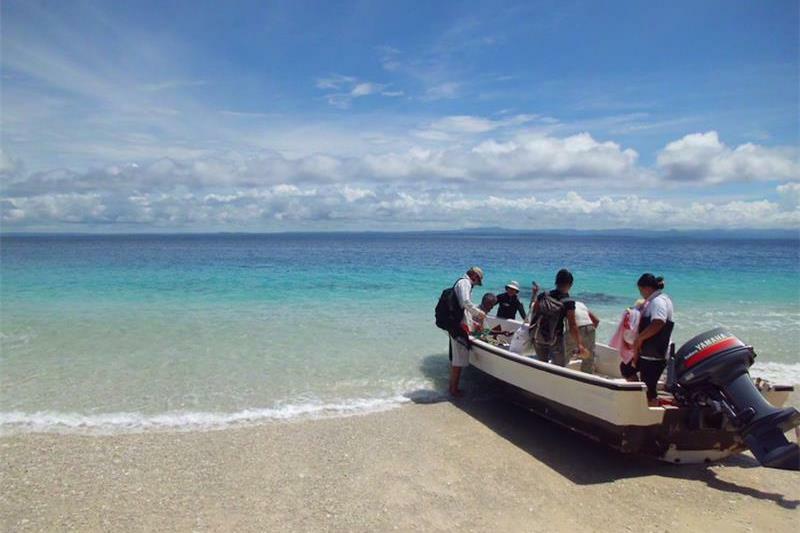 Asu Camp embodies what you imagine about surfing Indonesia's outer-island reefs, crossed with the additional comforts of modern technology, communication, and really good food. Score uncrowded waves, even solo sessions on some occasions, in glassy conditions and that clear, warm water. Find comfort in your bungalow, with high-speed wi-fi internet and more importantly, find yourself right in front of the action. With Asu Camp you'll be surfing the perfect Indonesian waves of your dreams, but without the crowds... And you'll be staying in the only camp on Asu with a view of the wave and the sunset. Asu Camp is on the northernmost tip of the island, right in front of the action and the beauty of Asu, for the wave and for the sunset, it's the place to be. Included in your accommodation is access to other surf breaks by a speedboat, when conditions are favorable for another spot. You can be surfing from a selection of 9-10 different waves in the area. Primarily Asu, out the front door, but you can also surf 9 other waves, 5 of which are located in the Hinakos and another 4 on nearby West Nias. Other than Asu, there are 6 rights and 3 lefts that work in different wind and swell conditions. 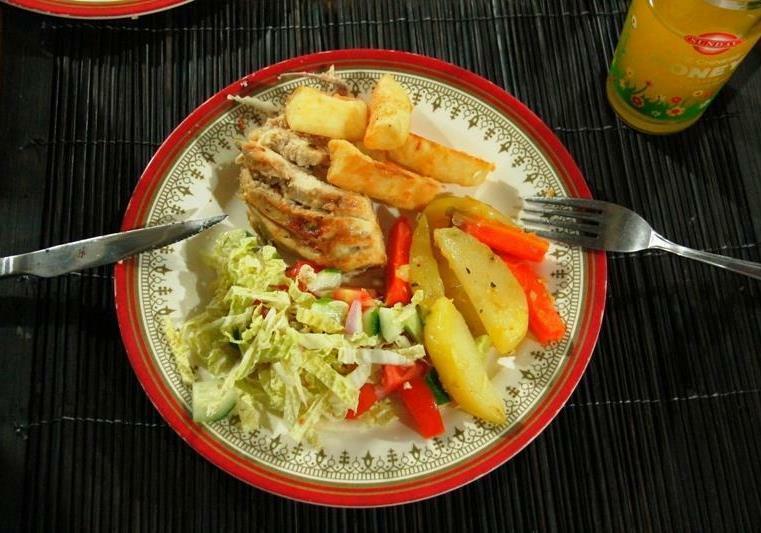 Your stay at Asu Camp includes three delicious meals a day of Indo and western variety, plus plenty of fresh fruit, juice, snacks, water, coffee, and tea. A comfortable bed with top quality spring mattress, fan for each bed, generator electricity 24 hours a day, free laundry service, hot water showers, and high speed satellite internet with WiFi. 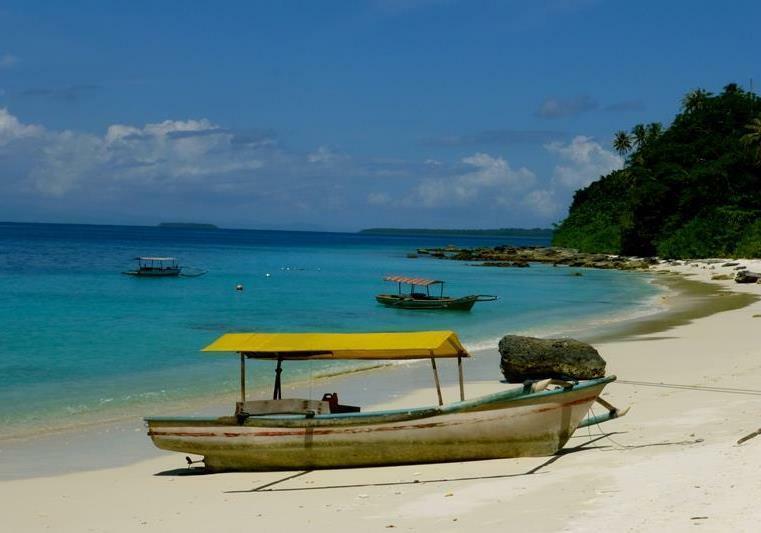 Asu is one of 8 islands in the Hinakos, located 10km west of Nias, in North Sumatra, Indonesia. 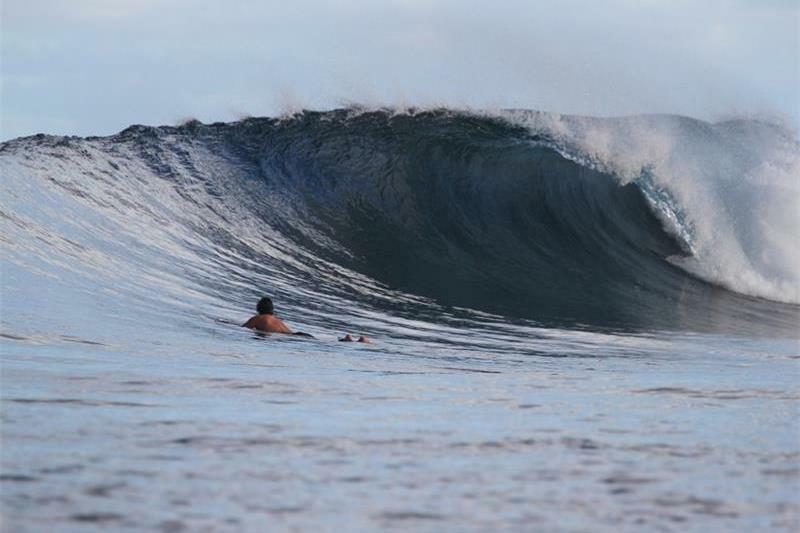 This remote location takes advantage of the deep water trenches which funnel south-west Indian Ocean swell into the area, giving Asu and Bawa their reputation for consistently pumping with overhead surf. The water around Asu is crystal clear, sometimes the visibility can be up to 30m. 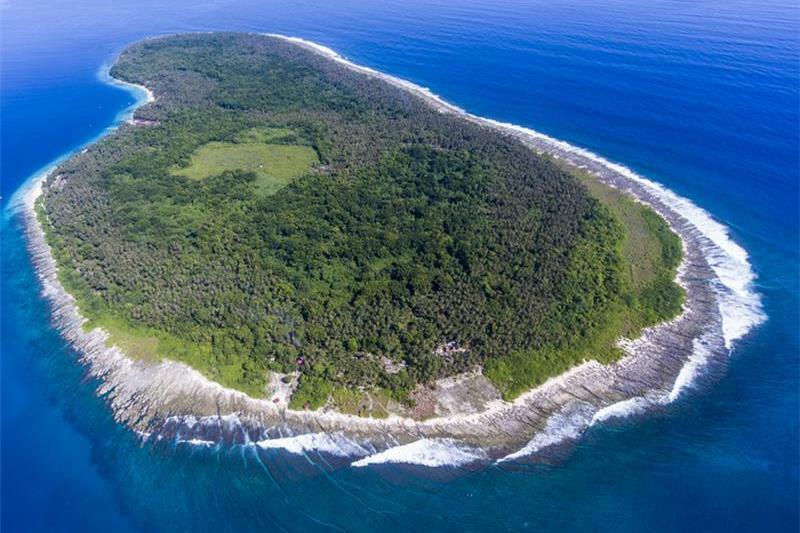 When the swell is down, the snorkeling and fishing around these islands is amazing and is a great way to take a break and spend a day away from small surf. For the rainy days, Asu Camp has a fitness bungalow where they stock everything from yoga mats, dumbbells, a stationary bicycle and weight machines, and have made a space where you can move, stretch, and strengthen your body by cross-training in any weather or surf conditions. There are 2 types of accommodations at Asu Camp. Two private 2-person bungalows, and the ‘Big House’ which has 3 rooms and 2 baths. The 2 private bungalows boast 12m squared terraces facing the surf at Asu. The rooms are a modest 16 sqm and accommodate 2 people in single beds or a couple in a double bed, on the highest quality firm spring mattresses, with shelving, fans, and power inside the custom fitted mosquito nets. There are 2 cabinets with shelves and drawers for storing away your belongings. The rooms open up wide to the terrace with double French doors. Each bungalow terrace is equipped with 2 hammocks and 2 rattan lazy chairs for maximum chilling comfort in between surfs. The spacious 12 sqm bathrooms are open to a small garden at the back of the bungalow and provide a very airy and fresh, yet private, ‘jungle living’ feeling. 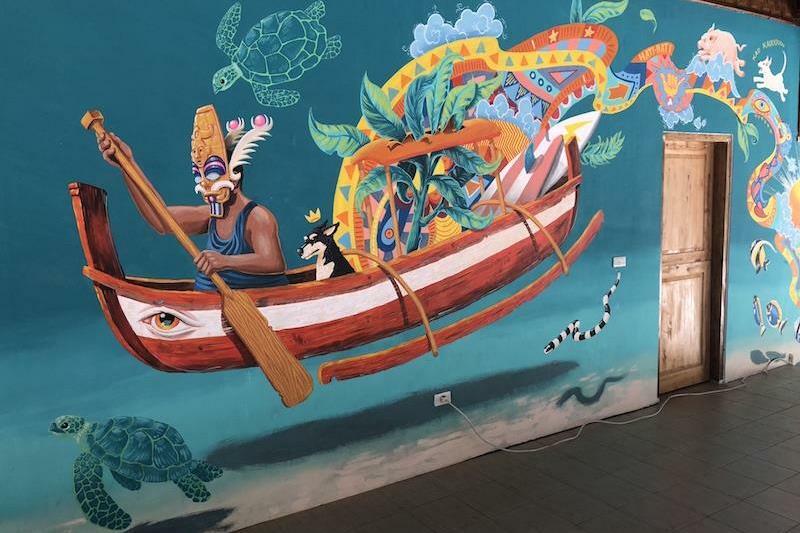 The toilets are flushing toilets and the bathrooms are tiled and adorned with lots of shells collected from the beach at Asu. The bungalows are equipped with AC and have water coolers for easy access to hydration. Each bungalow has its own surfboard rack and outside shower. The bungalows are on piers raised up 1-2m off of the ground, offering exceptional views of the surf right out front. There is a back gate directly to the bathroom and stairs to the front terrace. These bungalows were designed with years of experience of Asu living, they are simple, yet elegant, modest, yet luxurious. The Sunrise Room is a spacious room of 25 sqm that can be set up for a couple or a small family of 3-4 people. It has an ensuite private bath, lots of windows, high peaked ceiling with open air windows to the East that let in lots of sunrise light and give amazing views of the coconut canopy that surrounds Asu Camp. French doors that open towards the surf so that you greet the sea each morning and check the surf from the comfort of your bed. The Sunset Room is 15 sqm and accommodates up to 2 people in twin beds or a couple in a double bed. The bathroom is shared and accessed through the living room. The Loft is a spacious 35 sqm second storey space that has the feel of living in a tree house. 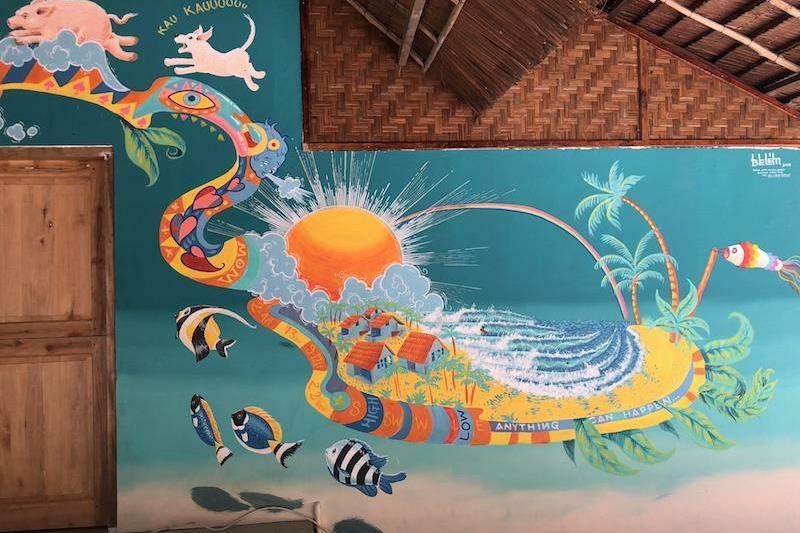 The roof of the loft has 4 Nias style ‘windows’ that are actually the roof pushing up to open up a dormer style open air window, which offer a lot of ventilation and sweeping treetop views of the ocean in front and the coconut jungle all around. There is also a 4m long ‘hammock’ that is cut out of the floor and is hands down the ‘coolest’ place to hang out. The loft can accommodate 2-3 people in single beds or it can also accommodate a couple in a double bed. The loft shares the bathroom downstairs that is accessed through the living room. Food: 3 meals a day. At Asu Camp, the menu is varied in both western and eastern dishes that are mixed with meats of fish, chicken, beef, and pork served with vegetables and rice or noodles. Breakfast is served from sunrise until around 10am, lunch is around 12, and dinner is at 7pm, served after enjoying an awesome sunset at 6:30pm. Breakfast is a choice of many options; cereal, granola, porridge, eggs any-way-you-like-em’, pancakes, a variety of fresh fruits like papaya, banana, apple, watermelon, pineapple, and mandarin oranges. Fresh juices, smoothies, and shakes from blenders. Cakes and fresh baked breads. Prepared lunch and dinner are eaten family style at a dining table. Meals are different everyday with a variety of meats, imported cheeses, olive oil, sauces, and other goodies. In between meals there are plenty of snacks available at all times, peanuts, crackers, jams, fruit etc. Coffee and tea, both hot and cold, are available all day. Fresh coconuts are refrigerated for a most refreshing drink after coming in from a surf. Asu is a 200m left hand point break with 3 different barrel sections that will present challenges to every level of surfer. The break is situated on the northern tip of a small palm tree fringed island that you can walk all the way around in just 2 hours. In the water, you can watch the energy from the safety of the channel, sit on the shoulder and pick off a few good ones, or get into the bowl on the main take-off and line up some bombs, maybe even backdoor a couple. The choice is yours, get as deep as you like! Bawa (25 mins) 100m deep water right hander, best w/ west wind. Bombie (10 minutes) 60m right hander, best w/ east wind. Mini Bawa (25 mins) 50-100m rides on various bowls along a right point, best with NW wind. 2 Secret Rights (25-50 mins): right hand reef breaks from 50-150m, sshhhh…secrets still exist. 4 Secret Lefts (25-70 mins): 50-100m left hand reef breaks, few people know about these ones too. Off-Peak Season: September 15, 2018 - April 15, 2019: 20% off for 1-2 people. 3-4 person bookings will get 25% off and 5+ person bookings will get 30% off full season prices. For 2019 trips, the peak season price (from April 15, 2019 onwards) is US$1,500 for 10 night / 11 day packages. Additional nights are US$125 and trips shorter than 10 nights are US$175 per night. Transport from Nias Airport to Asu (There is an extra US$100 transport supplement for single travellers). Accommodation - bed with mosquito net, blanket and pillow. Electricity 24 hours a day. Go! Hit the waves of Asu, a surfer's paradise and one of the most relaxing places i have ever been to. I recommend this to people who are looking for a simplicity, not much luxury and a remote location to take a break and surf Asu and Bawa, the best waves you will ever see in your life! This place really is spectacular. My wife and I had been traveling for over a year by the time we had made it to Asu and had seen lots of beautiful islands, beaches, waves, etc and this one was our favorite. If you've traveled in SE Asia, you know that a place with natural beauty can be easily destroyed by trash, pollution, ugly hotels, unfriendly locals..., NOT this place. When we first arrived we couldn't stop saying how beautiful everything was. The water is incredible, the beaches are out of a magazine and of course the waves are nuts. I really can't say enough good things, but I'll continue with the food being the best we had during our year abroad, the service being top notch, the snorkeling is awesome and the surfing is world-class. They even have hot showers and internet in the middle of the ocean in indonesia. The rooms are basic but comfortable, but that is not why you are there anyways. All meals are included and if you are ever hungry just ask for more food.... and their chef Manna, who just went to Thailand to learn some more specialties for next season will make you happy. Life is good when you are on Asu! The price might sound high, but after you realize that you are getting cheese and chocolate flown in from Medan, and all the little perks..it starts to make sense. Just go... O and by the way, I stayed for 3 weeks in october and surfed maybe 10 times with 0 other people in the water and a couple more times with a few of the hotel guests. Asu is paradise. 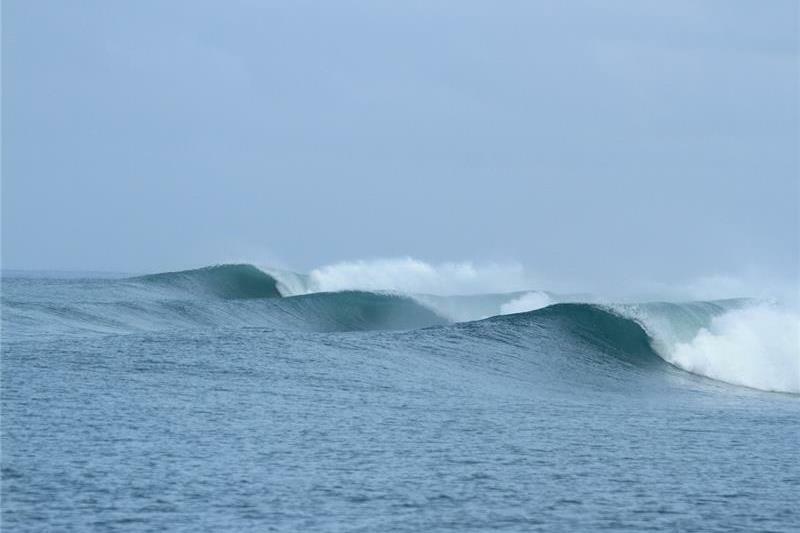 Good, uncrowded hollow waves on an incredible reef that also has amazing diving and fishing too. I really had a memorable experience with friends and the surf pumped my last 8 days straight. Samantha and Earl will take care of you. Looking forward to going back. Thanks for making my 2009 surf trip one of the best yet. I will be back next year for some more uncrowded perfection. The pics they took of us out surfing are first class l am so stoked. Will be in contact with you early next season to book for 2010 l can't wait.